These bidding boxes are supplied in sets of 4 and come complete with bidding cards. They are easy to open and close and fold flat for easy storage and transport. They are available in three colours, red, green and black. Each bidding card has the scores for each contract printed on the reverse of the card. The cards do not need to be rearranged when the boxes are opened. These bidding boxes are known as Danish Bridge Partners and are manufactured for the Danish Bridge Federation. They measure approximately 152x89x32mms and are supplied with brackets so that they can be attached to the side of wooden Bridge tables (screws are not included). NOTE These bidding boxes come supplied with cards suitable for use by right handed players. We are happy to swap them to make them suitable for left handers. Just let us know and we will make the change! 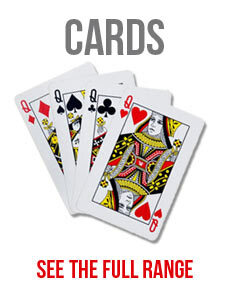 Also if your cards are getting tatty and worn out we can supply replacements. Auctions can no longer be overheard at other tables. Bids out of turn are rare.